Airbus’ most popular single-aisle jet model A320 Neo with Pratt and Whitney engines faces a fresh probe from the highest ministerial level, as one more incident of a mid-air engine failure was reported on Saturday. 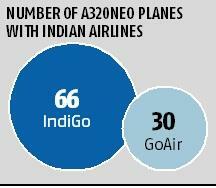 A320 neo is the workhorse of India’s largest airline IndiGo and Go Air and together they have more than 500 such planes on order. Minister of State for civil aviation, Jayant Sinha, has called for meeting to review the operations of the engines and to decide whether they pose any threat to passenger safety. 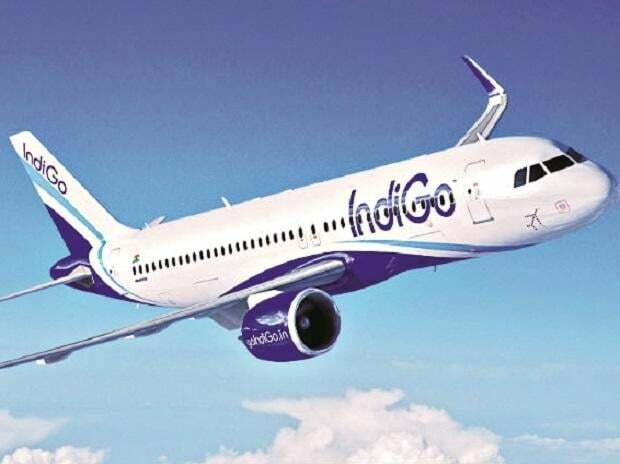 The meeting has been as called, as an IndiGo aircraft while flying from Chennai to Kolkata, returned mid-way to Chennai and has been grounded there since, due to damaged engine blades. Sources said the regulator was contemplating a partial grounding of the fleet if the engine manufacturer PW couldn't come with an explanation of the repeated incidents. Both Pratt and Whitney and Airbus didn't comment on the issue. Indian regulator DGCA had grounded around 14 A320 neo planes last year after European safety regulator EASA raised an alarm about the engine. Sources said the aircraft VT-ITW engine stalled mid-air followed by a loud banging noise and abnormal vibration in the engines. “The engine suffered damaged blades and it is currently waiting for a replacement at Chennai airport,” a person aware of the development said. IndiGo confirmed the incident but insisted the pilot brought the engine to idle deliberately and followed the procedure. Pilots of A320 neo planes have been asked by the engine manufacturer to bring engine to idle mode whenever they notice any malfunction. In its idle mode the engine uses minimum thrust and power. “An IndiGo flight 6E 293 operating Chennai-Kolkata on 3 January returned to Chennai after takeoff due to a technical caution noted by the crew. The crew followed normal operating procedure. There was no engine shutdown and no emergency landing was declared,” the airline said. Sources said the problem, though yet not diagnosed, is related to overheating of the compression chamber. The problem was identified while investigating the incident in which thick smoke had engulfed the cockpit and cabin of an IndiGo aircraft, forcing an emergency landing and evacuation of passengers at Kolkata in December last year. According to preliminary investigation of the incident by the engine maker, the temperature of the rear end of the dry face seal was increasing more than the front end, as it was not getting lubricated adequately. Pratt is working on a modification of the seal which would increase the flow of oil leading to higher lubrication in the rear end of the engine. The new design will be released to operators only in early 2019, a person aware of the development said. The problem, though reported in very few isolated incidents, is a cause for concern for the engine maker as the current model of seal -- the dry face carbon seal -- was introduced by the company as a replacement after a problem with the knife edge compressor seal led to engine failure, due to which IndiGo and Go Air had to ground around 14 aircraft earlier this year.